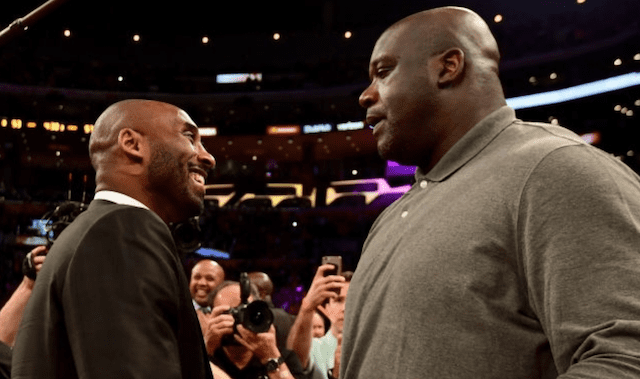 Absolutely nobody was prepared for Magic Johnson to announce that he was stepping down as the Los Angeles Lakers president of basketball operations. As Johnson said, he did not even tell owner Jeanie Buss or general manager Rob Pelinka, so there was no sense the move was coming. But once all of the dust clears and everything settles, the Lakers now have an extremely important decision to make regarding who will replace him. With six consecutive seasons of missing the playoffs now, Lakers fans are desperate to get things back on track. The Lakers are armed with one of the league’s best players in LeBron James, ample salary cap space, and a promising young core — in addition to being the NBA’s glamour franchise. The job will undoubtedly be attractive to a lot of executives and the Lakers will have to be intelligent and methodical about who they decide is the best bet to take over. 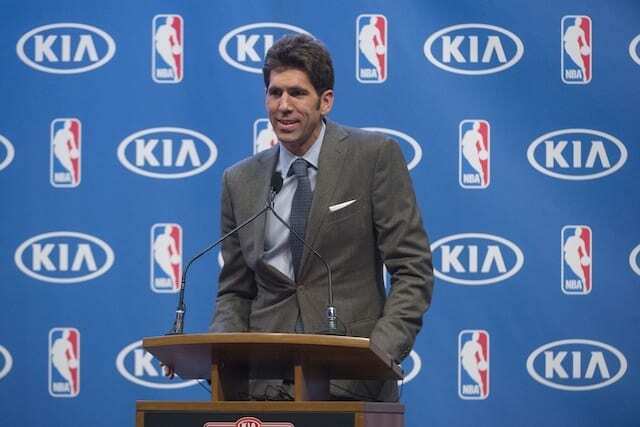 The current Golden State Warriors president of basketball operations, Bob Myers is the man responsible for putting together the league’s current dynasty. Myers is also a native of Danville, CA and went to school at UCLA, so he is no stranger to the neighborhood. By all accounts, Johnson was reportedly someone who was not around the office and did not put in the day-to-day work necessary to succeed at this job. That could not be farther from the truth for Myers who is known as someone constantly working the phones and checking every possibility and scenario that could benefit the team. Of course, being under contract with the Warriors means the Lakers would have to ask for permission just to speak with him and there is no guarantee they would even be willing to let him out of his contract. However, if he were to show interest and the Warriors denied him, it could cause some issues within their organization. Whether Myers is willing to leave Golden State for the intense pressure that Los Angeles brings is unclear, but the Lakers definitely have the money to at least make him consider it. If the franchise is willing to go outside of the Lakers family and really try and get someone who is successful and qualified for the job, there are few better than Myers. It has been two seasons since Cleveland Cavaliers owner Dan Gilbert decided not to re-sign David Griffin as their general manager. But Griffin is the betting favorite to land the position in the immediate aftermath and he makes a lot of sense. He has built a championship roster around James and is used to the pressure and expectations that come with having him on the roster. That previous relationship could be a major factor as he surely has James’ trust and with such an important offseason coming up, having a person in charge who understands how to build around his star is of massive importance. Griffin’s interest in the team’s position is currently unknown and like Myers, this would be a case of the Lakers again going outside of the family and it is unclear if they are willing to do so. But Griffin has the specific experience of not only building a championship roster, but one around James making him an ideal candidate. Let me be clear here. Kobe Bryant has explicitly said that he has no desire to hold any kind of full-time front office role with the Lakers, so it would take some serious convincing to get him on board. 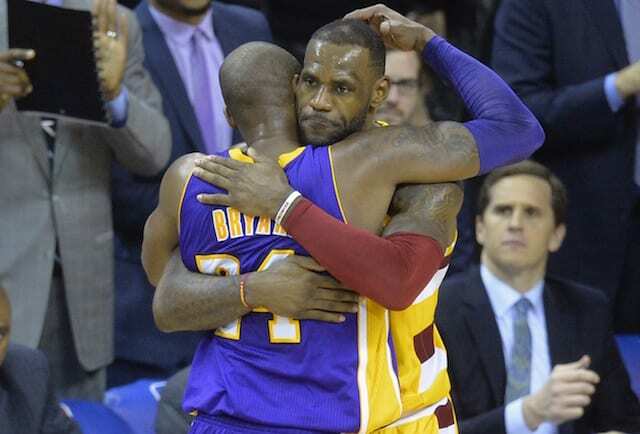 That being said, if there were anyone capable of doing this job, it would be the duo of owner Jeanie Buss and Pelinka, two of Bryant’s closest friends and confidants. Bryant would undoubtedly be a big-name that would create headlines and ignite the fanbase. However, hiring him would essentially be the Lakers making the same type of decision they did in hiring Johnson. Bryant has no front office experience and has other outside businesses that require his attention — much like Johnson. That being said, when Bryant does something he does it to the fullest, so the reports of Johnson not being around or being completely committed likely would not be the case with him. He would go all-in and put in the work and he has a relationship with Buss and Pelinka where they would all be on the same page. The question is whether the Lakers can afford to go after another person with no experience following this most recent fiasco. Jerry West arguably represents the best of both trains of thought. 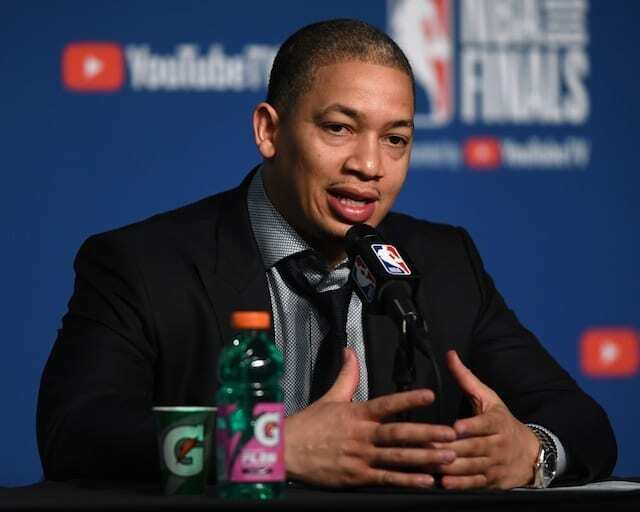 He is a Lakers legend who will forever be a part of the family and is a long-time front office guru who has built championship rosters in the past while also finding success with both the Memphis Grizzlies and Warriors. 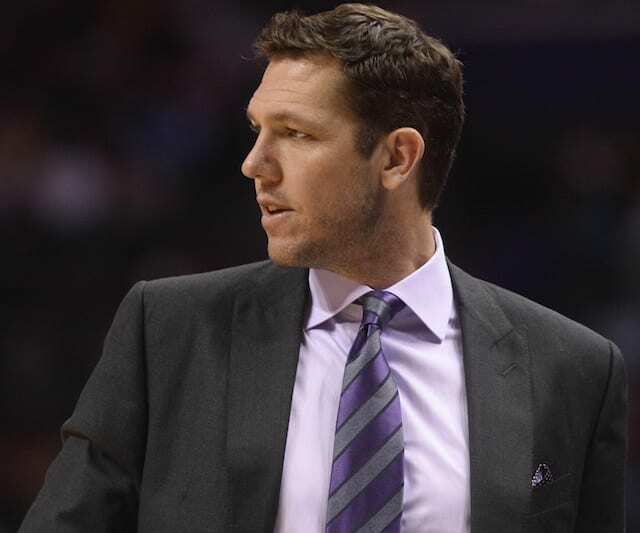 West’s name was brought up as a potential advisor when Johnson originally took over the Lakers, but the reports were they felt he was not needed. Now with Johnson gone, the Lakers could turn to an old, familiar face who has had unrivaled success in the front office. The biggest question for West is whether he desires to take on that kind of a role. He will turn 81 years old in May and has not held a full-time front office role since 2007. He served as an executive board member for the Warriors from 2011-17 and then joined the Clippers in a similar capacity. 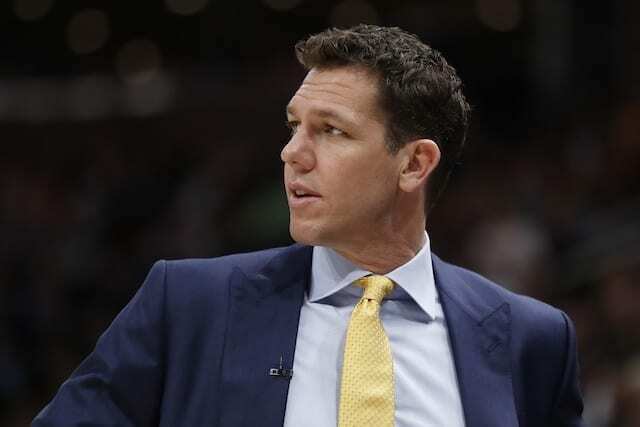 It would seem unlikely that West would be available for the full-time Lakers president of basketball operations role, but the team would be foolish to not approach him about returning to the franchise in some sort of advisory role. Pat Riley has been firmly entrenched with the Miami Heat since 1995. He is an icon there and likely has no reason to leave his position there. But the chance to return to his home franchise and bring them back to glory could be the enticement Riley needs. Riley has had a ton of success in Miami, bringing three championships to South Beach, pulling off the big trade for Shaquille O’Neal and convincing LeBron James and Chris Bosh to join Dwyane Wade as well. His experience working with James would also likely hold some appeal though the two reportedly did not part on the best of terms. Nonetheless, Riley checks a lot of boxes that the Lakers would be looking for as a former Laker, experienced front office executive, and someone who knows how to work with James. But with his position and standing with the Heat, it would take a lot of convincing to get him out of South Beach. Another outside of the box potential hire, Masai Ujiri is one of the best young executives in the game and would represent a complete change in how the Lakers operate, which is likely a good thing. Ujiri has a lot of experience building strong teams, winning Executive of the Year in 2013 while with the Denver Nuggets before joining the Toronto Raptors as president where he has built them into one of the premier teams in the Eastern Conference and one of the favorites to make it to the 2019 NBA Finals. He may not be the biggest or most well-known name, but Ujiri is a young and energetic executive who understands the way the NBA operates in this era and has had success within it. He may not be a Laker, but that also may not be a bad thing as the franchise looks to turn around the worst stretch in history.